Recently I conduced a mock interview for one of my customers, and what struck me most was her lack of eye contact. As career advisors we advise our customers to maintain eye contact. Never has this advice been more relevant than during this mock interview. Here is an article I posted almost three years ago, which is still very relevant…as I’ve come to find out with my recent experience. If you’ve seen the movie Love and Other Drugs, you’ll totally agree with Jamie Randall (Jake Gyllenhaal) when he tells Maggie Murdock (Anne Hathaway) that she has beautiful eyes. No? Not only does Anne Hathaway have beautiful eyes, but she has such tremendous eye contact that her eyes seem to become the only thing the viewer can think about. To me, her eyes signify complete trust and honesty in the movie. They are part of her physical presence, yet they talk to the viewer—as if she didn’t have to say a word. So what do Anne Hathaway’s eyes have to do with the job search? Well everything if you consider the importance of your eyes and how you use them. I’m speaking specifically when you’re networking and, most importantly, when you’re at an interview. Eye contact is something career counselors harp on, along with a firm handshake. 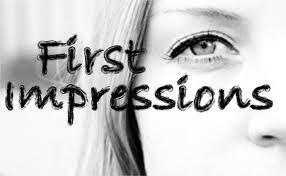 It’s what we believe to be a major element of your first impression. Like Anne Hathaway, your eye contact can capture the immediate attention of the person with whom you speak. Steady eye contact with the person to whom you speak can say a number of things: I’m warm and personable; I’m attentive and listening; I’m trusting and honest; I’m confident. These are all traits we want the interviewer to see in us. 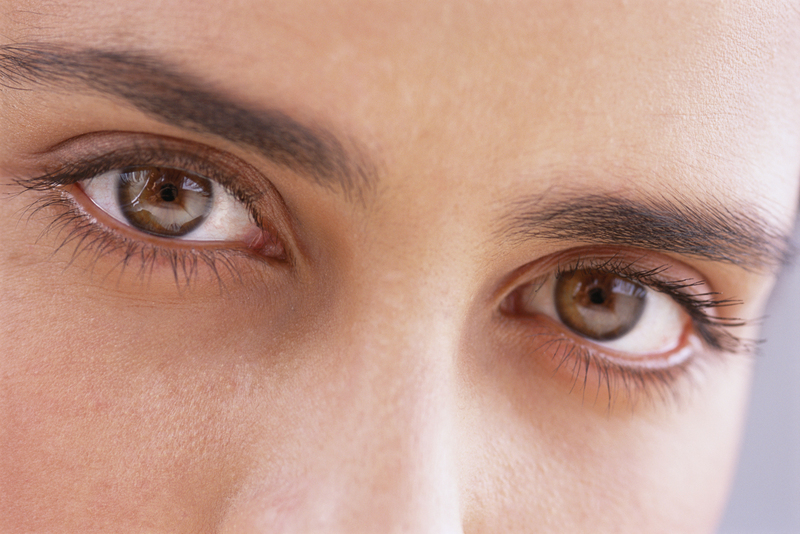 In some cases when eye contact is too steady, it might relay the message that you’re scrutinizing the other person. If it’s unwavering, it may “freak the person out”; make her feel threatened. We don’t want that. Unsteady eye contact will most certainly hurt your chances of landing the job. Personally, when I talk with someone who can’t look me in the eye (like the customer I mention above), I become suspicious. What is she trying to hide? Unsteady eye contact usually implies that the person lacks confidence. It can also say: I’m bored; I’m distracted and thinking of something or someone other than you; I’m devious and a liar. I’m sure the last statement isn’t true of my customer. There is unsteady eye contact that is natural and necessary. Usually when we divert our eyes from a person it’s because we’re concentrating hard on what we’re going to say next. We introverts have a tendency to reflect in such a manner, while extraverts think while they’re talking and eye-gazing. The interviewer considers body and facial language when determining the strength of the candidate. Some experts believe that 60% or as high as 90% of our communications is nonverbal, which means our countenance may be more important than our words. Although, don’t rely on batting your eyelashes and making those eyes sparkle; the verbal messages you provide are ultimately vital in your success at an interview. Interviewees must maintain a fair amount of steady eye contact at the interview. This means that at least 90% of the time you’ll look into the interviewer’s eyes, giving yourself sufficient time to look away as you organize your thoughts. If you’re at a panel interview, the majority of the time will be spent making eye contact with the one who poses the question, while the rest of the time you’ll scan the other interviewees sitting at the table. Back to Anne. If you think I’m in love with Anne Hathaway, you’re mistaken. I love her eyes, and yes she is a beautiful woman, but I harbor no fantasies. My only wish concerning Ms. Hathaway is that she continues to captivate viewers with her stunning eyes that do enough talking on their own. This entry was posted in Career Networking, Career Search, Interviewing and tagged eye contact, facial language, interview, non-verbal expression on August 2, 2015 by Things Career Related. Know your goal plans: Where do you plan to be in five years? Who the hell knows? At least show your ambition by telling employers that you reach for the stars and won’t be a clock puncher—in at 9:00 out at 5:00 on the dot. If you want to be an individual contributor and are tired of the management route, demonstrate your desire to accomplish great things in your new role. Let them know you want to help the company’s bottom line. This is providing the role doesn’t have management responsibilities in the future. This entry was posted in Career Search, Interviewing and tagged being late, employer pet peeves, eye contact, knowledge of company, knowledge of job on September 6, 2011 by Things Career Related.